I wonder to myself, if I only posted this finished (?) piece of artwork and you’re seeing it for the very first time right this second in it’s finished state, would it seem more impressive? Obviously yes, right? 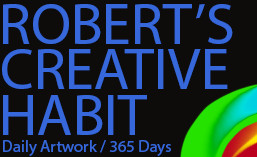 During my Year of Creative Habits I need to post my progress every single day for a year, so it’s unavoidable for people like you to see my more complicated content each and every day as it gets published. So, I’m wondering how I should go about showing off my content when my year long adventure is completed in just a couple weeks from now. I kind of like the idea of a “Ha! Surprise!” moment when I post a completed finished piece of artwork. And I’m more likely to work extra hard toward the end of a project to make sure I put all the finishing touches on it just perfectly so, before people see it for the first time. 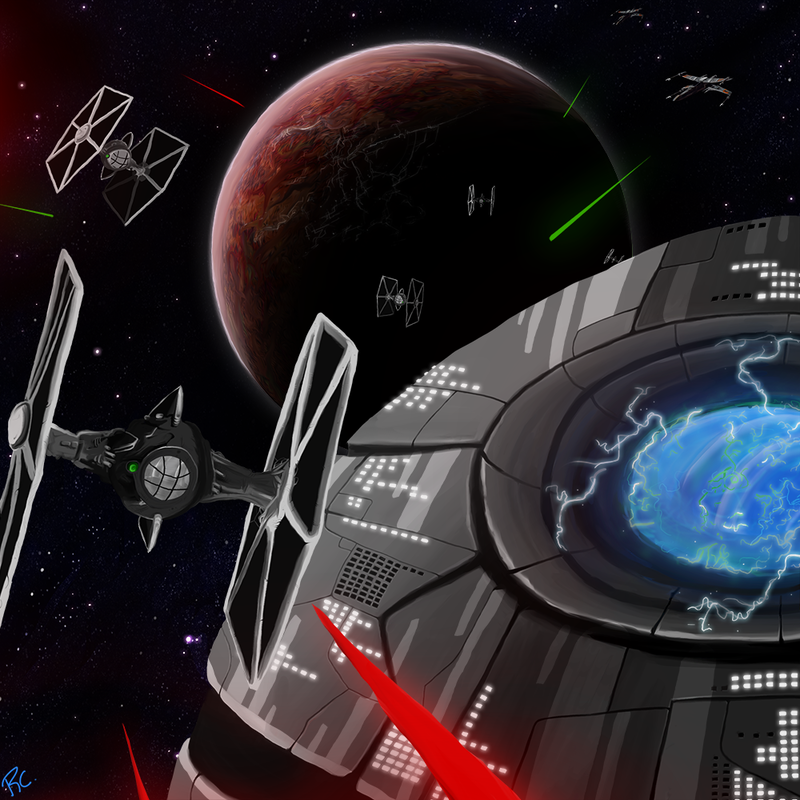 I assumed this Star Wars picture was all finished up today. However, once I started writing out this post, I thought that it might be a cool idea to write “Star Wars” by hand in the top middle section of the picture. A little bit over top of the planet maybe. What do you think? I think I’m going to try it out, I just have to think about it more and figure out exactly how I want to do it. So, look forward to more Star Wars stuff tomorrow most likely. Oh, and I tried really hard today to get a cockpit view around the border of the screen, but it just wasn’t working out. The original file is a 3000 x 3000 pixel image and a cockpit would take up half of the screen for it to make sense. It would cover way too much of what I’ve painted. I tried it, and it doesn’t look right. So the idea is still there in a bunch of layers in the original file, it’s just hidden away so people won’t ever see it. One more thing before I forget! Pomodoro! I did it again today and it worked even better, despite having some momentary distractions that needed to be attended to. I lost track of how many Pomodoro’s I ended up finishing, but it was at least 4 today and it’s a fantastic process to help keep you motivated to get your work done. Alright, so… what do you think? Should I continue posting my work in progress as I go along, or wait until I have something more substantial to show off? I’m strictly talking about when I finish my Year of Creative Habits, of course. Doesn’t it even matter? Can you think of any pros as well as cons to, say, teasing a project that I’m working on and showing it off in maybe just 2 or 3 stages? Let me know below! This entry was posted in Photoshop, Scene. Bookmark the permalink.